Contents: Video, Audio and Text shipped to you. online multiple-choice test. Contents: Video, Audio, Text and multiple-choice test all online. Contents: Video, Audio, Text and multiple-choice test shipped to you. As more people reach beyond conventional medicine for healing, massage and bodywork practitioners are being invited to aid and comfort dying persons and those who care for them. In this profoundly intimate course, internationally acclaimed practitioner Irene Smith shares openly about the multidimensional challenges and personal healing nature of this work. The textbook, 2 CDs and 2 DVDs in this course clearly present Irene’s practical and philosophical framework developed from 25 years’ experience. This course is for any massage therapist or bodyworker who is considering working with dying persons. It will inspire you and prepare you to work with a mentor, if necessary, to learn new hands-on skills. This course does not teach hands-on skills. Please seek additional experience, with a mentor, to add hands-on skills. Jodi Eaton, CMT Golden, CO. This is an EXCELLENT course. Even though I work in the area of death and dying as a nurse and a massage therapist, and I have taught workshops on touch for the dying, I gained very valuable information and had many things validated for me in a refreshingly new way. Thank you Irene!!! I have volunteered in hospice doing massage and found it emotional yet very rewarding so this course will only enhance what I have learned in the past. Thank you. I loved this course! Interesting, well-written. After taking this course, I want to take additional training, so I can do this work! I LOVED this course so much. It fits into my massage and volunteer work perfectly right now. I was so engaged in the material that I finished it on the 2nd day! The materials were very user friendly and are able to be implemented immediately. I expected the book to be a bound booklet, rather than spiral bound. I would love it if I had a book that was more durable as it is one that I will DEFINITELY refer back to throughout my career, the rest of my life! My friend introduced me to this course specifically and your CE program and I would definitely take another CE course through IIHS. Thank you...And Thank You Irene! Prior to my Mother's death last year, she was under Hospice care for several weeks and I was very impressed with their compassion and extent of care they provided. I would very much like to"pay it forward" and work with them doing therapeutic massage. Thank you for this valuable training. I really enjoyed this course. I lost my dad a few years ago and can relate to this. My mom is next. Thanks for sharing this with me. Excellent, was exactly what I was looking for! This course is amazing and I highly recommend. Gives a good look at the emotional side not just the clinical side of Hospice work. Very educational. Material was easy to read and understand. I now have the basic insight to hospice based massage. Great course if you are in the healthcare/hospice field of work. Really helped me to get a better understanding of my goals as a massage therapist in hospice care. Enjoyed reading the material and will continue to reference back to it when needed. Excellent Course, really enjoyed taking it and learned a lot. Enjoyed the course very much! This course was really amazing. I am a hospice nurse and a licensed massage therapist and I was amazed at how much I was able to glean from this course. I would recommend this course to anyone! Being a Massage Therapist and a Hospice Volunteer I found the information informative relative and supportive in the knowledge I have in both areas. Very helpful and comforting on the same level. Thank you. Great course. Very heartfelt. Really felt a connection to the author and her experiences. Gave good insight and reflection. I have worked as a massage therapist in palliative care at a nursing home and I had to learn everything for myself. This course is an excellent preparation for hospice- based massage for those who have had no experience, but also validated and supplemented my own experiences during the last 6 years. I am currently working with a hospice service and, even though I have been a LMT for 14 years, this course extended my knowledge and will help me further with hospice patients. Thank you. As a registered nurse for 30 years and LMT for 20 years, I have gleaned new information for my practice of both through this course. Very satisfied! This course is especially valuable as I've begun Hospice volunteer work. The material was clear and pertinent. Thank you for offering this. I never realized the thought and preparation for giving a massage to a hospice patient would be so involved. I am grateful that Irene was so thorough in her instructions and explanations of the best way to accomplish this. This course was very helpful and looked at aspects of hospice care that can be overlooked or difficult to deal with. Well done. This course was very informative. As I was reading I stopped several times to share it with co-workers. It helped me to address some of my own wishes in facing death. This course was excellent. It made me cry, a lot. But it allowed me to see the grief I have had since my father's death from Alzheimers in a healthier aspect. As a caregiver, a nurse and a LMT, this was the best course I have taken. This course was straight forward. I feel as though I was able to learn on my own, something I didn't know I was capable of doing with out a classroom experience. I highly recommend this site. The slide show and audio were a great touch...they added a more personal connection to this work. This course really opened my eyes. I feel like now I have more knowledge for this subject area. I really loved this course! I found myself going back and re-reading all the course material. I spent several days contemplating, digesting and integrating the information presented. 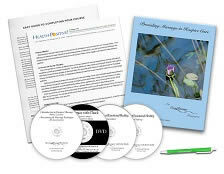 The DVD and the CDs were very important part of my emotional development in preparing to work with Hospice care. Thank you for this class. Although it was developed for Hospice care, I found valuable tools to use in working with dementia and Alzheimer patients who are not in the final stages end-of-life care. Again, thank you. Although I'm not currently working with hospice patients, this is where I have a very strong interest. This course was wonderfully instructive and actually helped me get in touch with feelings and experiences concerning my own father's death. Irene Smith is an amazing and inspiring human being. Fantastic course! I have been a massage therapist hospice volunteer for quite a long time, and needed some CEUs to fulfill my Board transition. I chose this course because I knew I would learn something that would help me, despite my already long term experience. I am pleased with this course, I picked up some new useful information.... never too old to learn something new! Thank you for this course! The use of audio, video and written materials made the course more accessible. Information around Hospice care is very valuable for the Massage Therapy practice. We are dealing with varying levels of health on a daily basis now more than ever before. Thank you for the open and compassionate program. I thoroughly appreciate the depth and range of Irene Smith's work. As a massage therapist who has worked with, but on a much more limited level, hospice patients, I found every breath of information and the details with which they were presented to be most beneficial. Irene Smith is an inspiration. Her truth and wisdom are a gift in the work of hospice massage. Very interesting. I hope to work at hospice so this refreshes my knowledge. I got so much from completing this course! It was well-presented and thoroughly written. This course was wonderful. I wish this was taught 50 years ago when I graduated from nursing school. 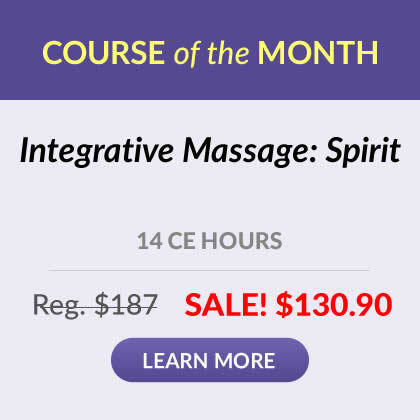 This is a fantastic course for all massage therapists. Massage is not all about deep tissue and myofascial and sports!! The workbook is well organized, easy to read and understand. I am an ex-hospice nurse. I am now a volunteer (mostly doing massage). The course was a nice review, but I also learned new, insightful information as well. I appreciated the author's willingness to express some of the personal challenges she faced, because often, I experience many of the same challenges as a volunteer. It's different when you are working as a nurse because the patient /nurse relationship is different. As a volunteer, you need to have a more personal relationship with the client-something I struggle with. The author's acknowledgement and strategies regarding these challenges were very helpful to me. Enjoyed this course very much. Well presented. Wanting to move my practice into this type of work and feel it gave down to earth, real advise and considerations. Thank you. When I first sat down to watch the videos, I thought.. OMG Snooze Alert, I did not take this class for meditation. and the noises within the camera work was irritating, but than all of a sudden the information became so interesting that I couldn't wait to watch and listen to the rest. I think this information will be extremely useful in the future. THANK YOU!! This was a wonderful course; one which presents the possibility of me, personally, moving into this direction of work. This was one of the most thorough and well done online courses I have taken in 21 years of doing massage. I found it extremely well written and interesting. My father died 6 months ago and my "second father" died a year ago and I did some bodywork on both of them at the very end of their lives and found the work very enriching to them and to me. I was uncertain in the beginning of this course that it might have been too soon since their deaths to study this but found the opposite to be true. This course reinforced the touch that I had with them at the end of their lives. I would highly recommend the course to anyone interested in this area of bodywork. I worked at my brother's funeral home several years ago for 2 years and had trouble with boundaries and grief. This course would have helped in that work. I have a regular client whose husband has just been put on hospice who wants me to start giving her husband sessions. I find it fascinating how pieces of my life have all lead to this it seems. Wonderful class. Amazing course, I especially loved the video portion. I hope to take a course with Irene in person one day as long as she continues to teach! I feel called to hospice massage and after taking this course I feel a greater sense of hope as I begin to pursue this path. My thanks to Irene and the class participants who shared so deeply. Truly a moving experience. This course will open up some new and interesting things about Hospice care. And about your own feelings. It may have taken me longer, I am not sure. The subject matter was very interesting to me; I tend to go fast when that is the case. Irene is so compassionate and that is reflected throughout this course which was very nice. Thank you. Loved it. This is a very helpful course professionally and personally as my parents are approaching end of life issues. This course provided a wealth of information that will be essential as I pursue a hospice based massage therapy practice. The CDs and DVDs were deeply moving, at times heart wrenching, but completely enhanced the entire aspect of this profound work. Thank you for sharing and caring and creating this extraordinary course. I am indebted to you! This was one of the best courses that I have taken. All materials provided were excellent. I highly recommend this course to anyone working with the dying. Irene Smith, I feel, is an incredibly beautiful and gifted person. It seems rare that a practitioner/teacher/author is as in touch with his/her own inner process and vulnerability as much as she is. I love that she shared this with us because, in my experience, it is the love and truth and honesty we express through our work that is healing in the most profound sense. Everything else is also important, but these are key. I am so touched by her sensitivity. I can't recommend this course more highly. This was a very good course. The author was very transparent with her teaching. I enjoyed it. This was a wonderful course, I would highly recommend it to anyone looking for an introduction to Hospice massage. Very thought provoking. well written and organized. I cried many times. Loved this course. I loved this course. It is a wonderfully heart based approach to supporting those at their end time. Not all of it was new to me as I have been a volunteer respite person with Hospice in the past. I recommend this to everyone interested! 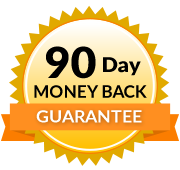 Thank you, this course was highly valuable to me in content professionally and personally. I felt the course was extremely beneficial to me and will better equip me in handling difficult situations while working with hospice clients and their families. The course was very interesting and assisted me in gaining more knowledge about how to communicate with hospice clients and creating healthy boundaries. This was a perfect course. I wish I had done this course before my Grandpa passed away, but if I experience this with anyone close, I will feel confident and grieve in a better way with having the knowledge. Thank you for this course and the experience. This course not only gave excellent and useful information, it touched on what I think of as the essence of doing bodywork with fragile individuals, and it did this in a way that was almost visceral. I've been a massage therapist for about 25 years, all that time with fragile and/or dying people, and have had to take CE courses every two years to maintain certification. I have never before taken a course that moved me as this course did, and reminded me of the real importance this work. For me, this was a great course. Identify the most important self-care elements for the touch practitioner in hospice care. Describe the most important elements for ill or dying clients to receive a safe, comforting touch experience in hospice care. Describe the importance of confidentiality and building trust in hospice care relationships. List and explain the emotional challenges of working with the dying and the recommended methods of self-care for the practitioner. Thorough coordination and information is required to provide a touch session that is physically and emotionally safe for the client and physically, emotionally and professionally safe for the practitioner. Constant communication in the form of gathering information (intake), choosing a treatment strategy (assessment), giving information (what we do, what we need, and setting boundaries), and summarizing client’s response to treatment (reporting) is required for quality assurance. When I look back over the years, there are many stories of dysfunction and discomfort that resulted from my lack of knowledge in giving, gathering and reporting information. Gathering information is the first step in assessing treatment choices. What is necessary in order to ensure that a touch session is physically and emotionally safe for the client and yourself?